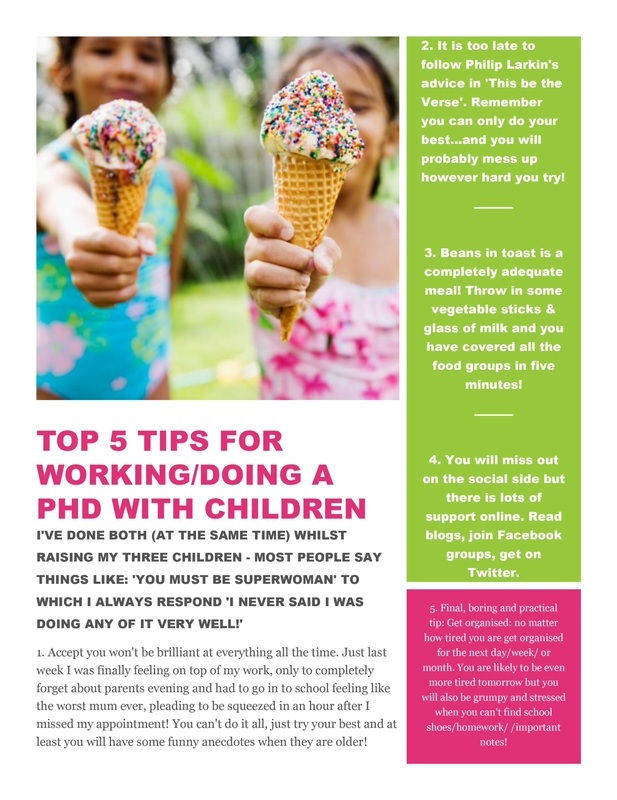 As part of a two week half term special we are looking at Top 5 tips for surviving a PhD/working life when you have children. Please share your tips (or anecdotes!) on Twitter @crimepgr using #Top5s. Kelly is a mum to three children aged 3 - 12. She started her PhD at Durham University whilst on maternity leave with her youngest child, who was only a few months old at the time. Her children have grown along with her thesis which she hopes to submit soon. In her spare time (!) she is co-founder of the North East Crime Research Network.